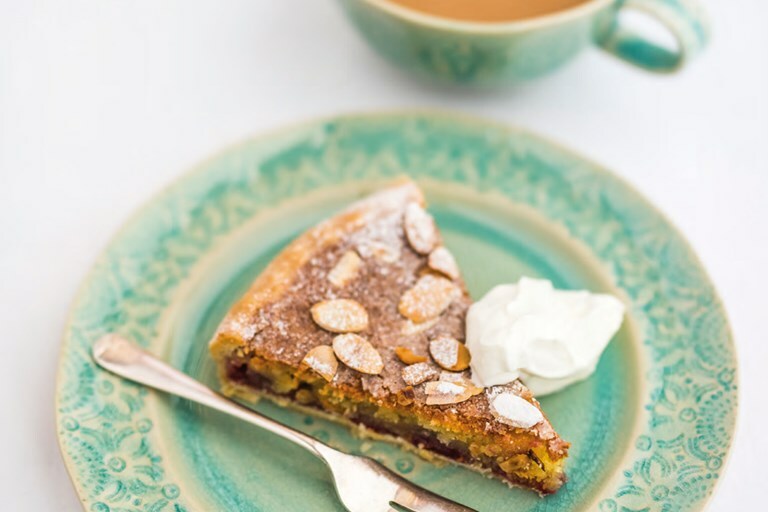 This classic Bakewell tart recipe from actress and Celebrity Masterchef winner Sophie Thompson is made with ready-made shortcrust pastry so it couldn't be simpler to prepare – someone put the kettle on! I have a particular fondness for the Bakewell tart. Richard and I were married in Birchover, Derbyshire, and had a big pile of Bakewell tarts instead of a wedding cake. We decided that wedding cake often got left in boxes and missed out on all the fun, so we chose the indigenous, no-frills Bakewell. I seem to remember they came up trumps.